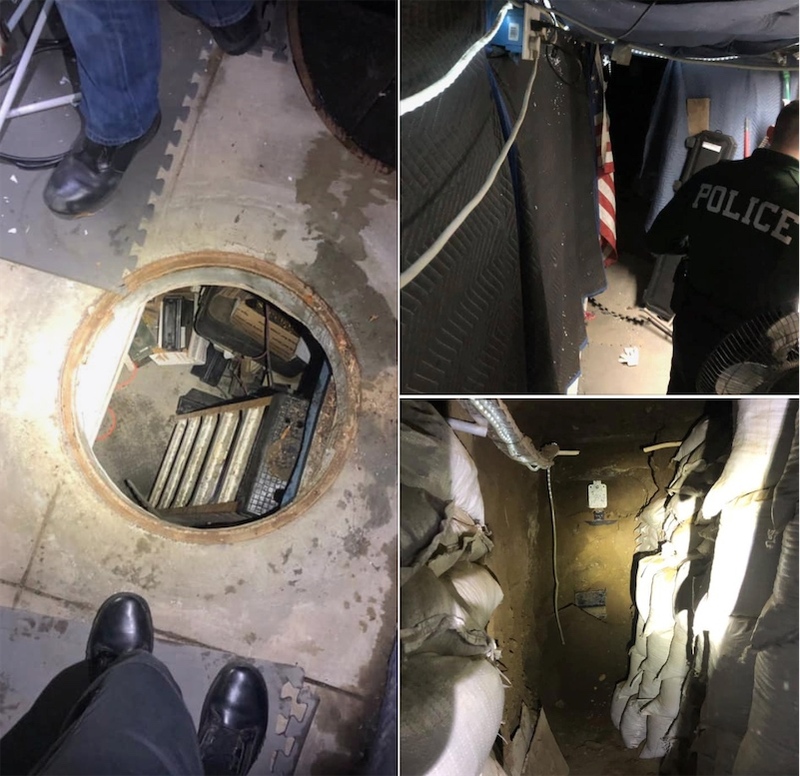 Police in Fontana, California were searching a suspected gang member's home when they found a manhole built into the floor. Down the ladder was a small secret underground hideout containing an arsenal, shooting range, and rather modest hang-out space. According to CNN, "interlocking rubber mats lined the ground in one area, with something resembling furniture pads or moving blankets fixed to walls, and a US flag hanging in one corner. Another area had a dirt ground and a wall lined with sandbags." "We are the champions at Hide n Seek and no manhole will help you..." the police wrote on Facebook. "We strongly recommend that you put as much effort as you did in your underground cave, into becoming a productive member of society. You will thank us later for this advice."